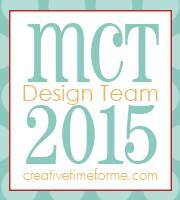 Today is the second day of sneaks for this months My Creative Time new release. If you have arrived from Laurie's blog, you are on the right track. If you would like to start from the beginning, click here. Today the design team is sneaking a new set of stamps and dies called "Witchie Witchie." 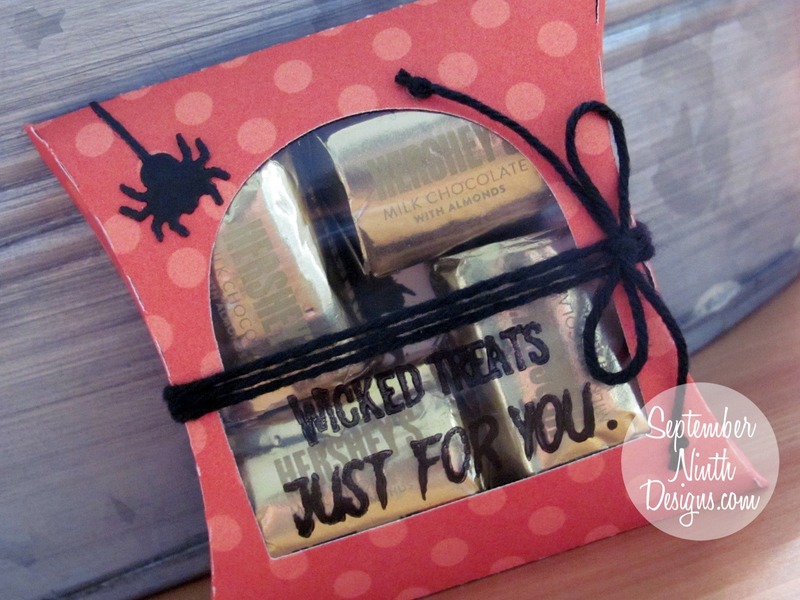 My project today was made with the Treat Pouch Die and then decorated with the new "Witchie Witchie" stamp and die set. I used one of the dies to create the window and stamped the clear acetate with a couple of the sentiments. The spider is also from the new set. Today's sneak set will be given to one lucky winner! All you need to do, for a chance to win, is leave a comment on each blog. You are not required to leave a comment on each blog, but the more comments you leave, the better your chance. Please make sure that you leave your contact info, so Emma can contact you if you win. The winners will be announced on Emma's blog each day. OMG Miss Ruthie WOWZERS What a Fangtastic Treat Box you created!! Your ideas to give your Box a Peaky Peek Window are Wicked Awesome...You definitely did a Spooktacular job showcasing today's Sneaky Peek!! YOU so ROCK!! Oh I love being able to get to peak into the treat packets, very cleaver way to use the new dies! Super spooky! This is awesome! What a great way to use the new die! So COOL! LOVE how you used the die for a window... Creative! 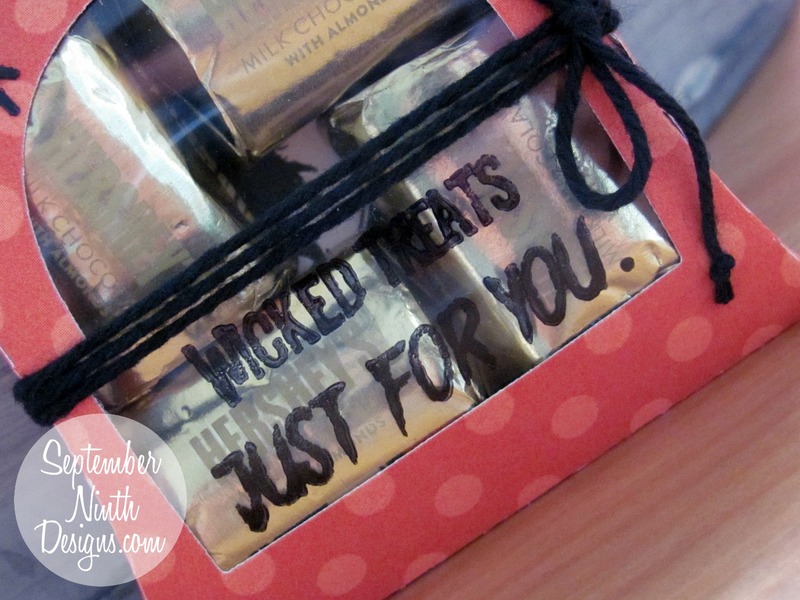 Love your fun treat holder! The tombstone-shaped window was a great idea! Very fun project with cute paper and sentiment! Such inspiring project for this release! 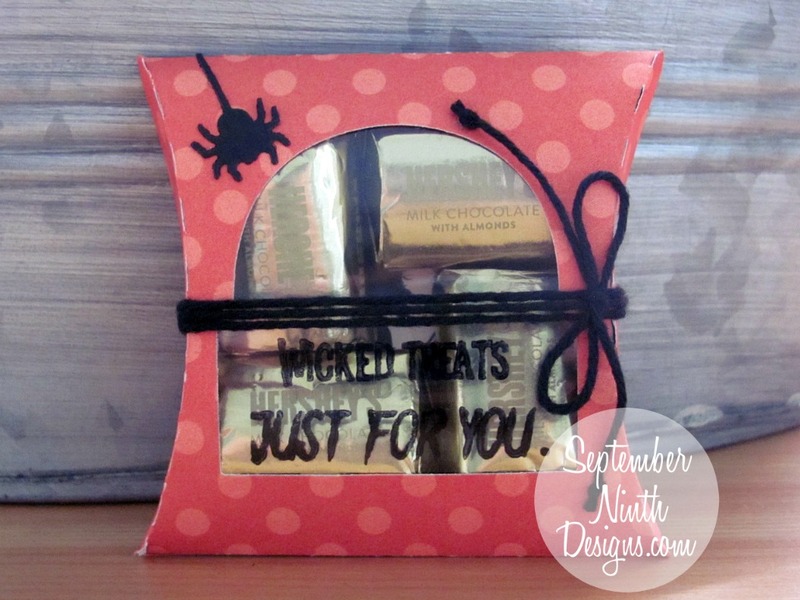 Your treat box is so sweet and simple. I love the stamped clear window and the fun spider with the twine. Beautiful job.